Almost every designer bag has two types of design – there is the ‘ordinary’ bag and there is the ‘extra ordinary’ bag. One is beautiful, and the second one is beyond beautiful. And thus at Givenchy, you have the normal leather Pandora Box Bag and the Ayers Snakeskin leather Pandora Box Bag, which one do you prefer? 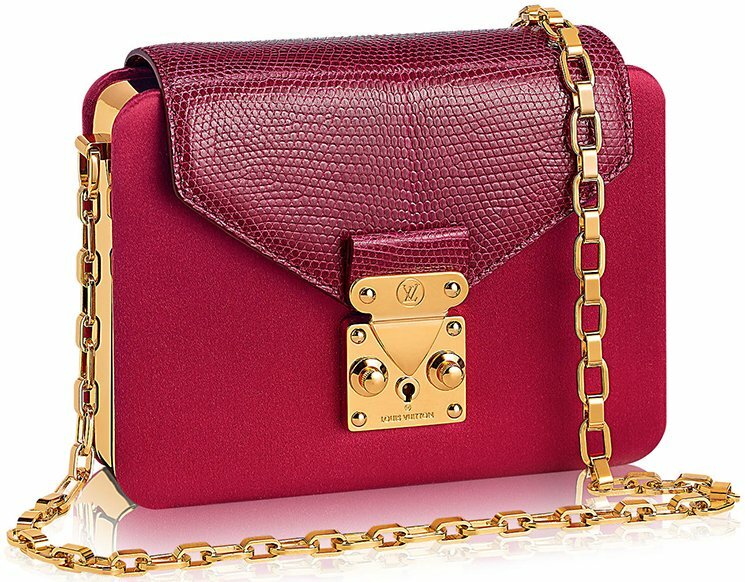 Meet the Givenchy Minaudiere Chain Ayers Pandora Box. Created as an addition to the famous luxurious Pandora Collection, this is another handbag that makes every girl skip a beat. 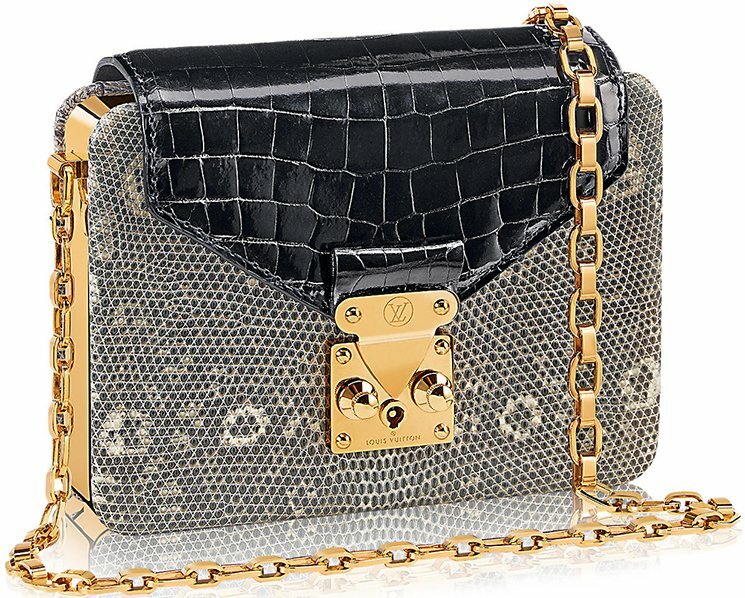 The Givenchy Minaudiere Chain Pandora Box can be compared to the WOC (Wallet On Chain Bag) or just a mini bag. It’s ideal for the evenings or the special occasions. It’s the kind-of bag that can easily transform from a shoulder wear to a clutch bag. Crafted with Metallic Ayers Snakeskin – it shines throughout the night and it matches to any outfit. Wear your favorite dress and a pair of high heels or just jeans and shirt; the bag will adjust to your style. The bag opens with a push-lock closure, the interior features a card pocket. Now there are two different kinds of colors – black and pale gold. The pale gold is somewhat a bit more attractive as you can see more of the leather details. It’s all glitz and glam here today with the Louis Vuitton Minaudiere Cofre Bag, a luxe piece that’s sure to keep you in the spotlight. For girls who are always up and about (evening dinners, fancy galas, black tie events…), the pressure is always there to deliver. But with this magical piece, you’ll never have to second-guess – it’s sure to give your outfit a much-needed boost, that’s for sure! The Minaudiere Cofre Bag may seem all-too little, but it’s packed with so much style. It has an S-lock closure which keeps all of your night essentials secure and an inside flat pocket that’s worth mentioning (since we have girls here who are highly particular about functionality, how small the bag may be). It’s adorned with only the finest golden metallic pieces, so you’ll sparkle brighter than ever! First seen hand-carried and slinging by a model at Chanel Cruise 2015 Runway Show, we wondered: ‘Do we actually need another clutch bag?’. It looked beautiful, but quite simple – minaudiere surrounded with plexiglass and partly made from metal. If you turn your head a bit to the right, it looks like a perfume bottle (on the top picture). Black with white CHANEL signature printed on the body, refined in silver hardware with long chain. Al right, a nice bag indeed and now what? You see, this is the Chanel Premier Minaudiere clutch and its inspired by a story. The design of this bag is inspired by the Classic Chanel Premiere Watch, yes another brilliant gorgeous accessory that anyone should own. The Premiere Watch is a minimalistic tick tack machine, the beauty is that it’s made to look like a piece of luxury jewel. So here you go, though it looks easy, but its not. Buy it for the night when you feel like you need to be ultra chic. The Chanel Premiere Minaudiere Cluch got the right ingredients to make an impact. Measuring 4.5 x 6.1 x 2 inches, priced $13,000 USD at Chanel boutique.